Sorted out what you’re getting your dad? No? 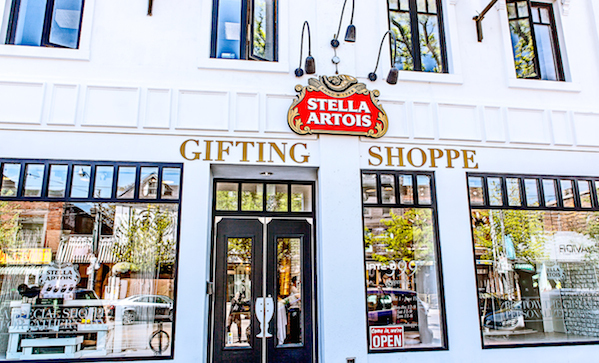 Well, pay a visit to the Stella Artois and GOTSTYLE Father’s Day Store at 399 Queen Street West, Toronto. You can drink a Stella Artois while you shop! Or shop online . . . and drink a Stella Artois while you do that. Anyway, the biggest thing they’re promoting is, of course, the Stella Artois chalice ($10), but you can get an engraved one too ($15), or even a friggin’ crystal one ($500) adorned with Swarovski and platinum. If you’re some kind of rapper, we guess. They have a bunch of other nice stuff too, though. Examples: Amanda Christensen Linen Pocket Square ($45), Daniel Wellington Glasglow Watch ($220), Ted Baker Thelast Elastic Woven Belt ($65), and Van Gils Silk Bow Tie ($58). To name a few.